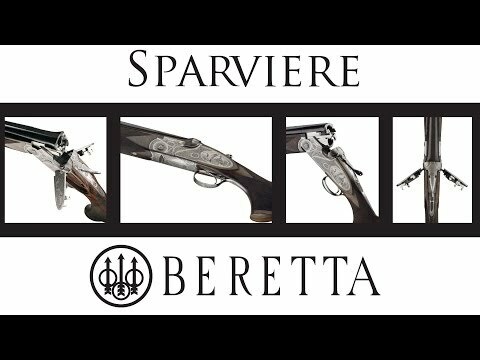 The SO Sparviere (Italian for “hawk”) is a premium sidelock over-under shotgun conceived for the upland hunter and shooter wanting a heirloom-quality work of art. The action features upward of 100 hours of engraving by masters carrying a centuries-old tradition, while the total absence of visible screws gives the engraving an uninterrupted blank canvas to express its full beauty. Even the visible internal parts are superbly finished and engraved by hand. 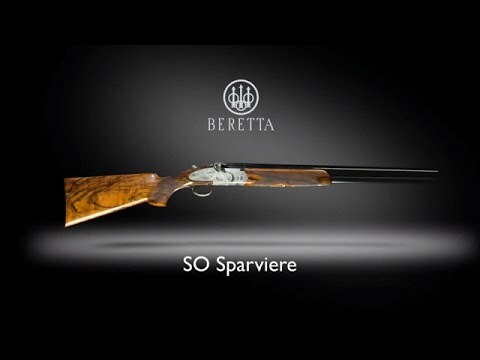 As with Beretta’s premium sidelock shotguns, the SO Sparviere is executed to suit the personal taste and requirements of the owner--from the sophisticated engravings to the gold-inlays to the dimensions of the walnut briar stock. The action of the SO Sparviere features an exclusive system for opening the two sideplates and gaining access to the inside firing mechanism. The classic Beretta sidelocks can be easily and rapidly opened to the side by actioning the safety/barrel selector. Past the safety position of the switch, the two sideplates will simultaneously snap into the open position, facilitating inspection and maintenance of the locks. As a true piece of artwork, the shotgun is engineered so that this action has to be absolutely deliberate, and cannot happen accidentally during a hunt. This action also enables the owner to look at the artistry of the receiver’s inner part, which is as much of a marvel as the outside. For its stock and fore-end, the SO Sparviere uses only the finest walnut briarwood, selected for its color tones and sturdiness. The client determines the final dimensions, and the wood-to-metal fit is completed with the care of a work of art. The stock may be ordered with a pistol grip or in a straight English fashion; both buttstock and fore-end are then shaped, finished with hand-cut deep diamond checkering and finally polished with oil or wax. The handsome leather carrying case with accessories is standard.